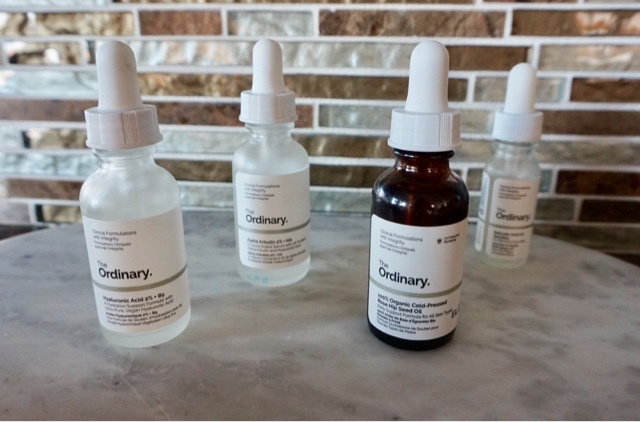 If you love skincare, you most likely have heard about the very hyped-up new brand, The Ordinary. It has kind of changed the skincare game, as it offers high-potent skincare with often expensive ingredients at a very affordable price. 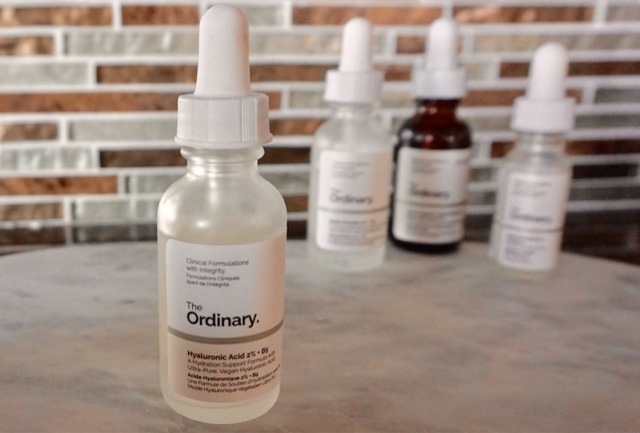 I truly love skincare and it is my most favorite part of my beauty routine, so I could not wait to get my hands on some products from The Ordinary. This brand offers everything from retinol (used to speed-up cell turnover and decrease the signs of aging) to pure salicylic acid (for stubborn pimples) to very hydrating oils, all at an extremely affordable price. I first gravitated towards the Hyaluronic Acid 2% + B5 ($6.80) because for the most part, I am a dry-skinned lady. I have loved using this in the morning before my moisturizer to give my skin extra bounce and hydration. I really notice a decrease in my tiny little lines around my eyes if I use this before I start the day, and my skin just looks a lot happier with it. Something else I was so excited to try was the Alpha Arbutin 2% + HA ($8.90), since I am cursed with hyperpigmentation and melasma. I have been using this after cleansing in the evening, and while it has slightly lightened my melasma (at least I think) it has really helped out any dark spots leftover from previous pimples. I also grabbed the Salicylic Acid 2% Solution ($4.90) because my breakout react super well to SA. I put a dab of this on a zit before bed and it is way less angry and inflamed in the morning, if it's even still there at all! The last bottle I grabbed was the 100% Organic Cold-Pressed Rose Hip Seed Oil ($9.80). I think this oil, although the most simple formula, may be my favorite! I put it on right before I go to bed and my skin is just so happy and hydrated in in the morning. It really does wonders to suppress any type of redness on my skin, and I can just tell my skin drinks it up. All in all, I really love what The Ordinary is doing as a brand. I know that when I finish my expensive Sunday Riley Luna Oil (which I do love, and you can read about here), I will most definitely purchase the retinol from The Ordinary as its replacement, since it is just as active and has a way cheaper price tag. I can't wait to see what else this incredible brands puts out soon! 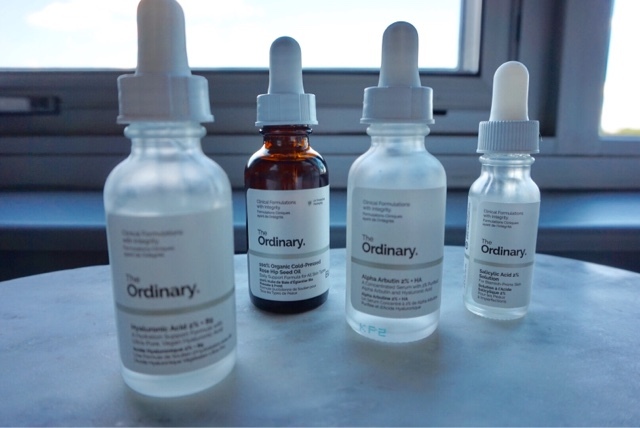 Have you ever tried anything from The Ordinary? If so, I would love to hear your experiences down below! Just love the title of the post, you sum it up so well! Thanks so much, Vanessa! You are very sweet to keep stopping by. Thanks for sharing! I now want to give them a try! Thank you for the review! I have been using The Ordinary Abscorbyl Glucoside Solution 12% and I love it. I think it is a great product if someone wants brighter, tighter skin.